It’s no secret that portable restrooms and construction sites go hand in hand. Whether working on a small home remodel or a large commercial building site, portable restrooms can play an important and integral part in keeping your site functional and up to code. Aside from providing workers with a convenient place to relieve themselves, the porta potty can provide several other key benefits to help complete your job on time. Increased Productivity: Every contractor knows that productivity is the key to any successful job. By providing your workers with their own portable restroom, the trips to use the local restaurant’s bathroom down the street will be eliminated. Now multiply that time savings by the number of workers on your crew and the number of times they need to use the restroom. That number can quickly add up saving your company time and money. Increased Safety: For a contractor, enforcing safety at a work site is the most crucial aspect of getting a job done. From personal protective equipment to certified safety training, many companies are promoting safe techniques to ensure worker safety. While it’s obvious that glasses and gloves can drastically help improve worker safety, did you know that the portable restroom can also help keep your job site safe? Think about it, without proper sanitation your workers may be forced to cross dangerous intersections or even use unsanitary methods on-site which can spread unwanted germs and diseases. By eliminating these unsanitary conditions, you can ensure your workers stay healthier longer which in turn equates to less time lost. Versatile: The simple design of a portable restroom makes it incredibly easy to transport and even easier to relocate. Within minutes of delivery, your workers can begin using the facility and reposition it as needed. It also leaves a small footprint so it can be conveniently placed almost anywhere. Some portable restrooms can also been modified to include a crane hoist to assist those working in the roofing industry, or by adding wheels to take up elevators and onto individual floors of a building. This brings versatility to a whole different level. It’s the law: Ontario is one of the most regulated provinces or states in North America with regards to restroom facilities on a job site. And it is only increasing, in the demand to provide employees with a sanitary and safe restroom environment in the construction industry. MOL standards currently include Service Logs, separation of the waste tank to the user, hand cleaning ability, running water where possible and there is constant discussion on how to improve the facilities further. Cost Effectiveness: One of the biggest benefits to a portable restroom is the low-cost solution it provides. While purchasing is always an option, most companies will chose to rent. The benefit to renting versus owning usually comes down to convenience and the maintenance associated with them. By renting a portable restroom you’re relying on a sanitation company to transport and clean the restrooms as needed. They do the dirty work so you can relax and focus on things more important. Individual restrooms can also be switched out as needed. This ensures your workers always have the cleanest restroom options available. The truth is portable restrooms aren’t always as bad as many make them out to be. With proper servicing and an adequate supply of them, you’ll notice the positives always tend to outweigh the negatives. To order a portable restroom for your construction project be sure to give us a call, or email us dispatch@centrelinesanitation.com today. 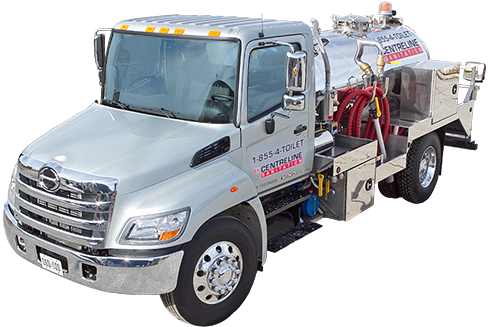 We’d be more than happy to answer any questions you may have pertaining to the portable sanitation industry.